Growing up, I loved Stephen King novels. To say I devoured them is an understatement. That kid in the Monster Squad movie with the red T shirt? May as well have been me..minus the monster fighting. They were my buddies. While the movie adaptions of King's books started off strong, there are a handful of misses that often overshadow the good. 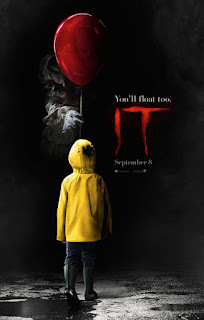 I like to think the TV adaption for IT lands somewhere in the middle, triggering a horror fan's nostalgia and a love of all things Tim Curry dominating over the plodding pace, odd grown up reunion and devastatingly unscary finale.